This system provides twelve replacement sharps collection containers and one prepaid return shipping box for the 1-Quart Sharps Secure cabinet. Multipack Systems are the best value. That’s a savings of 59% per sharps container disposal! This system provides twelve replacement sharps collection containers for the 1-Quart Sharps Secure cabinet. 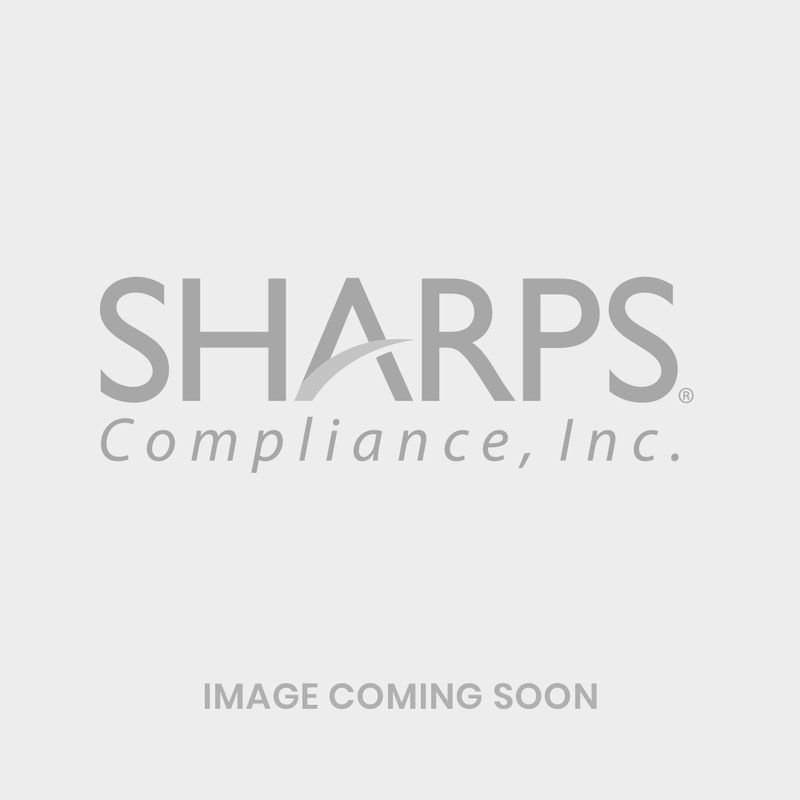 Sharps containers are designed for point-of-use collection. When the container in the Sharps Secure cabinet is full, it is replaced with one of the twelve Sharps Secure Recovery System sharps containers. When the single UPS return shipping box is filled with all 12 containers, it is packaged and shipped for proper treatment. This system is compatible with our 1-Quart Sharps Secure Needle Collection and Disposal System. It is ideal for restrooms where self-injectors can properly dispose of their syringes and lancets. Businesses without proper collection may find syringes, sharps or other injection devices in restroom trash cans or toilets. Improper sharps disposal can lead to accidental needle sticks or damage to plumbing if flushed. Special Note: Customers in Alaska, Hawaii and US Territories (Guam, Puerto Rico and the United States Virgin Islands) must purchase through Customer Support at 800.772.5657 as the price varies in these areas. This system is not compatible with the 1.5-Quart Sharps Secure System. The Twelve 1-Quart Sharps Secure Recovery System is ideal for facilities with larger turnover volume of the Sharps Secure containers. Provides the convenience of only one return shipping package. The Twelve 1-Quart Sharps Secure Recovery System contains 12 individual transparent sharps containers used to replace the sharps containers included in the Sharps Secure cabinets. Containers are designed for point-of-use collection. When the container in the Sharps Secure cabinet is full, it is replaced with one of the 12 Sharps Secure Recovery System sharps containers. When the single UPS return shipping box is filled with all 12 containers, it is packaged and shipped for proper treatment. Tracking of proper treatment is available through SharpsTracer.